Perfection is in the details. That’s why every pre-owned vehicle we sell must pass our rigorous 112-point inspection to qualify as a Certified Pre-owned Volkswagen. 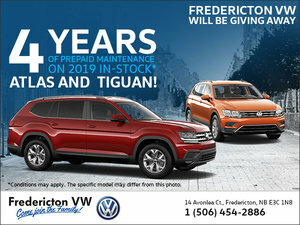 Nothing escapes us at Fredericton Volkswagen – we’re determined to give you the Volkswagen-certified vehicle you deserve. First, we look at critical factors like age, mileage, and maintenance history before conducting a road test to evaluate the vehicle’s performance. We then conduct further tests for components like the cooling system and battery. Next, we thoroughly examine the interior, exterior, and underbody to detect any imperfections. The final step involves touching up the paint and body, and updating the maintenance record among other measures aimed to make the vehicle like new. Why 112 points? We want to make sure our Volkswagen Certified Pre-owned vehicles perform like our new ones.